First choose a title for your campaign. The subject could be the same as the title but it’s totally up to you. All templates are prepared for “Preheaders“. 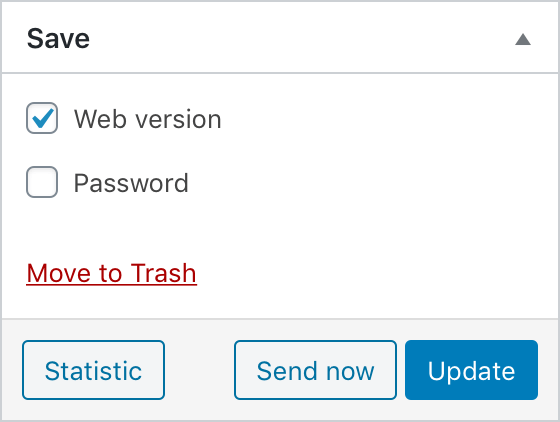 You can define the senders email address, name and the address people can reply to. To add new content you have to add new modules and fill them with content. Select the module you like to include in your campaign in the Moduleselector. To rearrange modules drag the modules to the new position or click the up and down buttons. To remove a single module click the button. Some modules offer an button on the right side to insert whole posts including headline, content, button with link to the article and the feature images (if exists). You can use different type of placeholder tags in your newsletter. You can change the colors of your newsletter with the color option on the right. 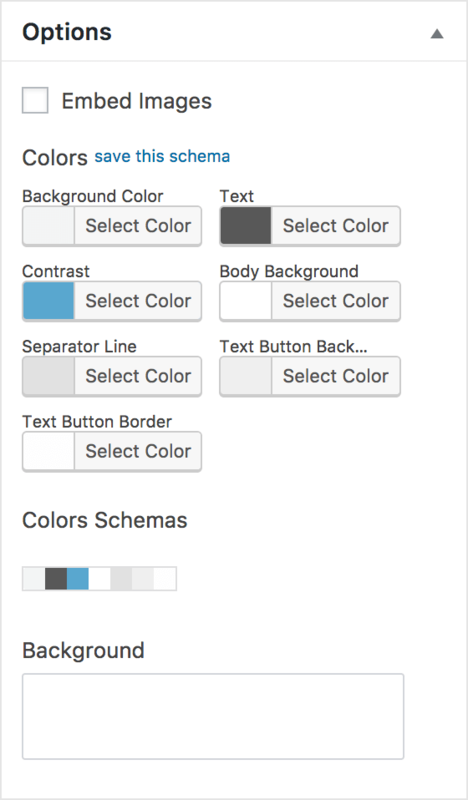 Click the arrows to the right to reset each field or save your newly created color schema to reuse it later. They will get prepended to the dropdown list. 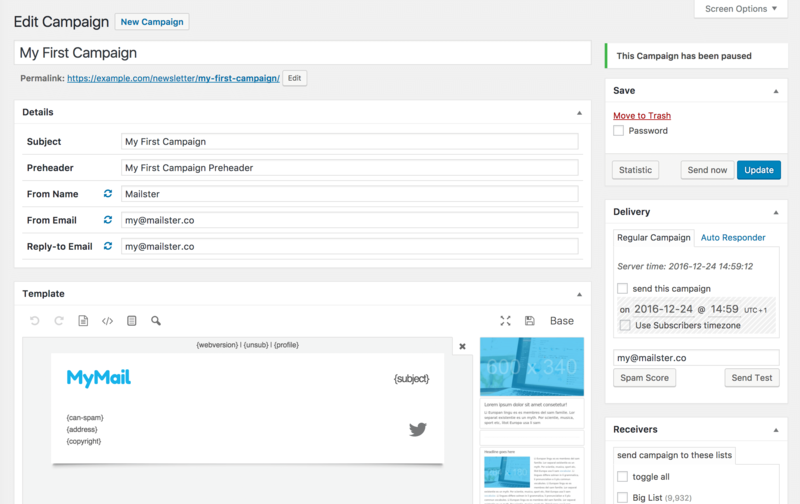 If you don’t check the “Send this Campaign” checkbox you wont be able to send your campaign. 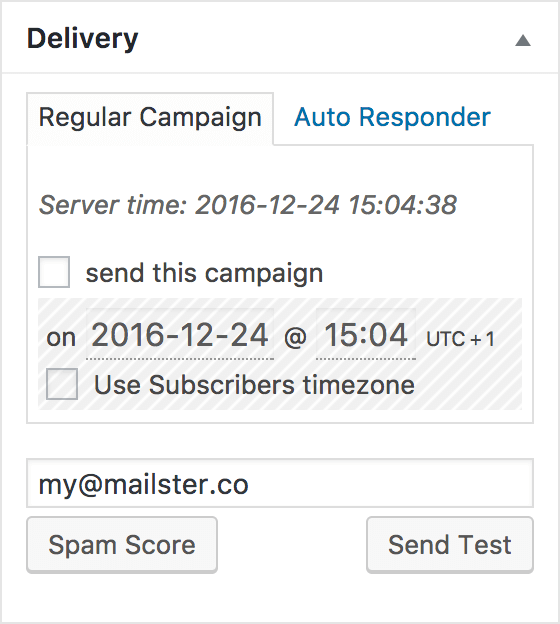 To test your campaign with your email client enter your email and hit the send button. Furthermore you can limit the Receivers by choosing several conditions. How can I customize the notification template? What are my sending limits?